Mormon Mommy Writers and Friends: You don’t want to read this post because you know it’s true. You don’t want to read this post because you know it’s true. You know that irritating, nagging feeling? That feeling that you should open that file lurking on your computer...that one with that book you started...maybe that rooooough draft from NaNoWriMo? 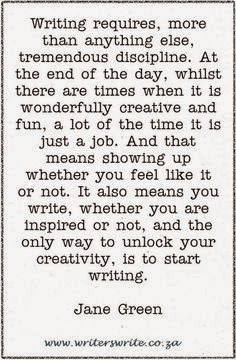 Or that story idea you wrote down but haven’t done much of anything with yet? That feeling that sometimes even keeps you from reading this blog (GASP!) because this blog is (partially) about writing and it reminds you you’re not writing? I’m writing this post to tell you I understand. I know there are those times, and they make us sigh and shrug and avoid making eye contact with certain computer files. 1. Open the document. Read through some of it. That’s all you need to do to open the door in your mind (and heart) to the feeling you had when you first came up with that sparkly, shiny new idea. Granted, you might not get that same giddy feeling back- but now the door is open. Peek through it. Good job. she’ll want to edit it. eventually she’ll get to the end. 3. You’ll want more. The characters have come back to life in your head, the ideas have started booting up again and humming and Stuff will start to happen. Not necessarily when you’re sitting there in front of your WIP (because now it’s back to being a Work In Progress and not a Dusty Old Thing) but later, when you’re doing the dishes, or when you’re just getting ready to fall asleep- those characters will start talking to you and the plot will begin twisting again and before you know it, the Tug will be back. The Tug to write!! Let me take a minute to testify here. Whenever I think to myself, “No. I have no new ideas. I have no way to make Scene X work, I have no way to fix this plot hole, my characters are too 1-D (yes, not even 2-D) I can’t do this,” all I have to do is just look at it. Just open the file and read it. And things just start happening. The block that was there just kind of dissipates. New ideas show up that were completely hidden before, and suddenly the slump is over. 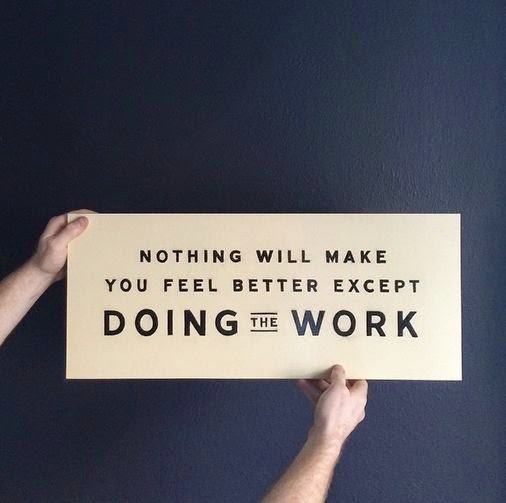 Nothing will make you feel better except DOING the WORK. So pull out your DOT (Dusty Old Thing) and make it shiny and bright and new again. It won’t happen by magic. After all, you’re a writer, aren’t you? Go WRITE! :) Wonderful motivational thoughts this morning. You make me want to get to work right now. Thanks again, Kasey, for understanding perfectly how I feel. It's like you were in my head! Glad I'm not the only one who struggles getting going. Thanks for the great post! You seem like a disciplined writer to me, Kasey. You are faithful about posts here, and your posts are thoughtful and researched. You inspire the rest of us!